Throughout his career, Doug Hammond has not only gone with the times, he has often been ahead of them. From the wonderful „For Our Souls“ and „Be You,“ featuring Hammond on the African thumb piano, to the swinging, evocative duo and trio compositions with Stéphane Payen (alto sax) and Reggie Washington (e-bass), „New Beginning“ demonstrates the wide breadth of his creativity and distinctive sound. „Spankin’ It“ sounds as fresh and grooving as the day it was written. And his crisp drum solos are nothing less than stunning! 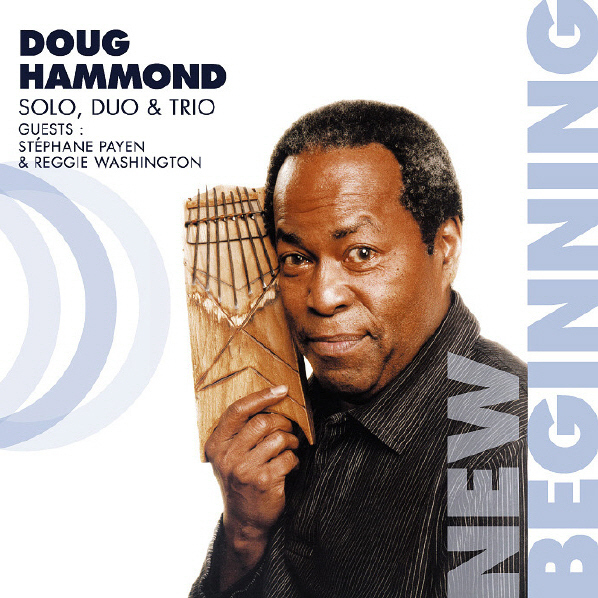 Doug Hammond continues to inspire listeners and audiences all over the world, while introducing new generations to his artistry. May „New Beginning“ prove to be just that. Doug Hammond doesn’t need to reinvent himself. He is here. And he is real.